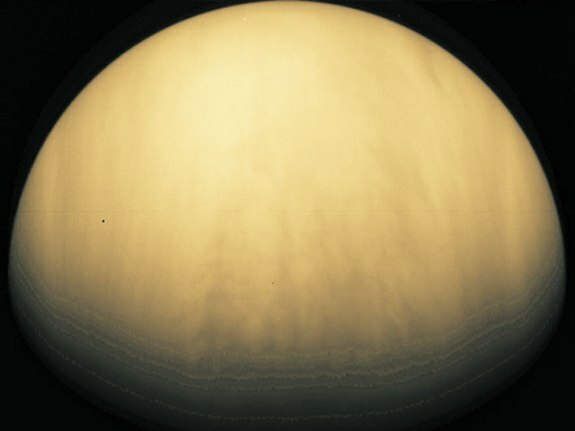 This picture of cloudy Venus wast taken by the Galileo spacecraft. 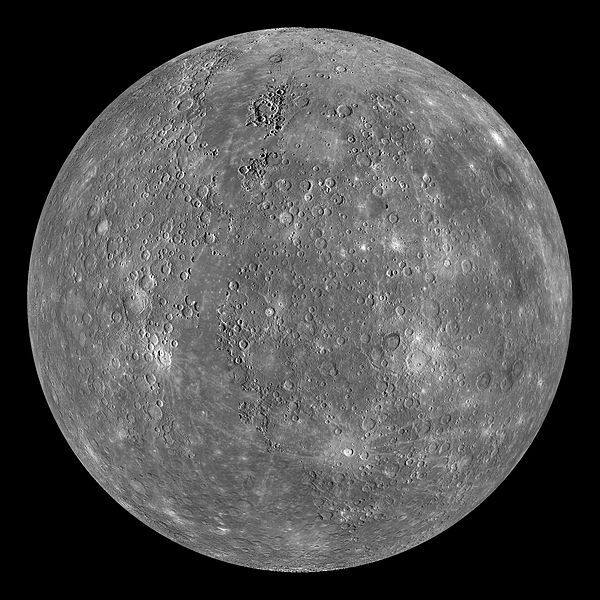 Venus is very similar to Earth in size and mass, so it is sometimes referred to as Earth’s sister or twin planet, but the resemblance ends there. 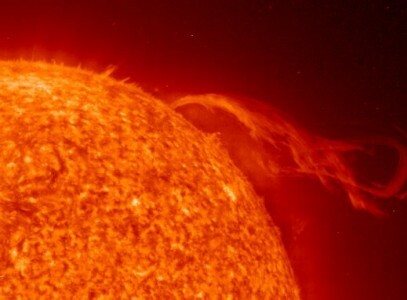 Venus is the most hellish planet in the solar system. 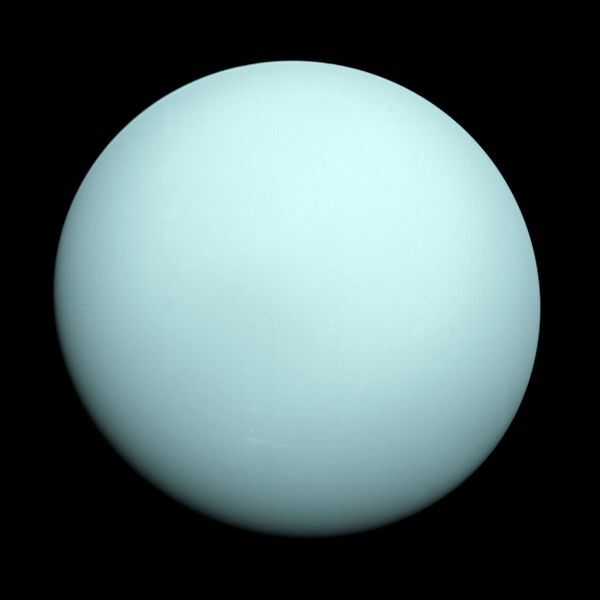 It has thick clouds and is much closer to the Sun which makes it the hottest planet. 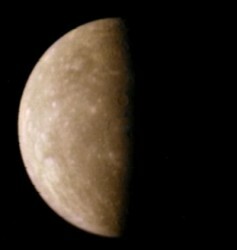 Venus is usually the brightest object in the sky after the Sun and the Moon, but it can only be seen just after sunset or right before sunrise. 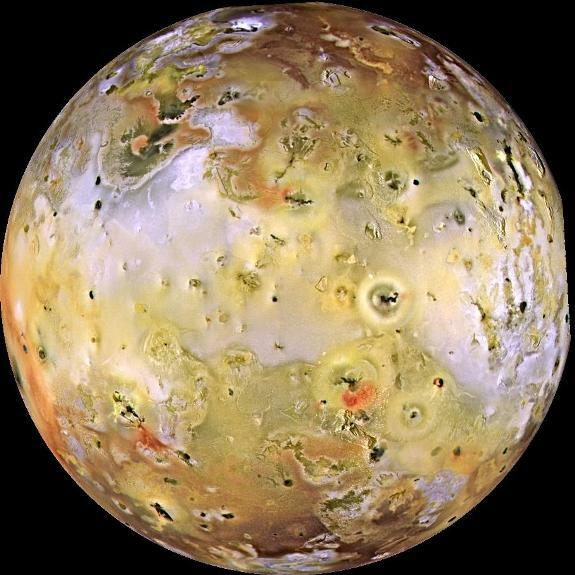 Image Credit: Galileo Spacecraft, JPL, NASA.